I love food. If you’ve ever met me in person you can probably tell this by the size of my bottom. I don’t spend loads of money on things like clothes or shoes or holidays but I do like to splash a bit of cash on eating out. This is partly a laziness thing, but also I love the social side of it – it forces you to switch off from work and other worries and instead focus completely on the people you are with. At home, I like to making cooking easy – who doesn’t love a good spicy meal kit? 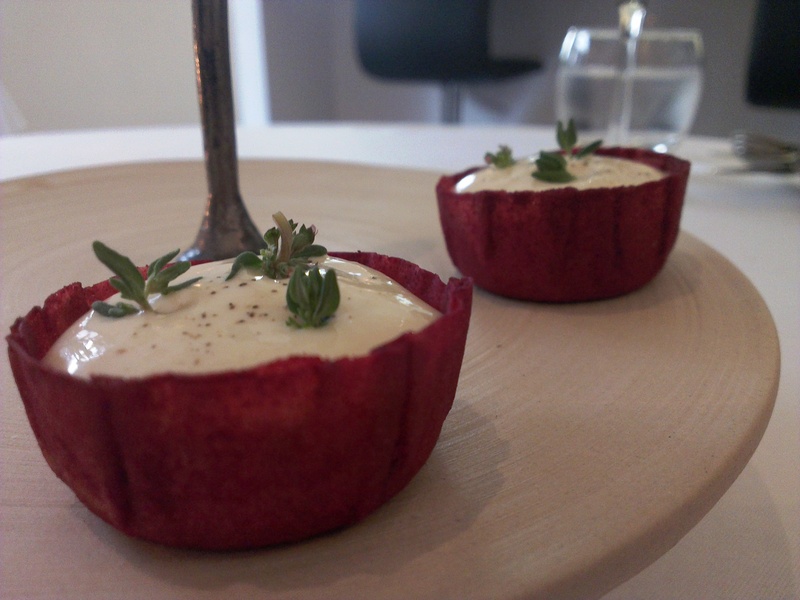 NB If you are reading this post on a mobile phone these tarts will be about actual size. Yes it’s a chain but yes it’s delicious. I’ve been to Jamie’s Italian on Park Street a couple of times with large groups and they have a fantastic private room that’s free when you spend on food. The staff are incredibly friendly and helpful and were really good at accommodating Bee’s vegan requests. 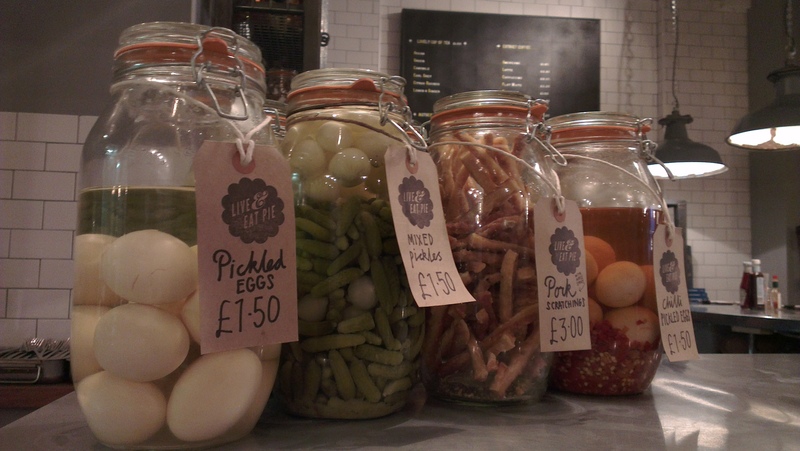 Even better, there’s a mini deli at the front of the restaurant so you can pick up some lovely nibbles to take home with you too. Another chain, but Yo Sushi is one of Bee’s favourite places to go. Not only is it fun picking your food off the conveyor belt but it’s great for Bee as there are quite a few vegan options. They can also give you nutritional information on each item so you can see exactly what’s included in what. Five minute’s walk from me, Zazu’s Kitchen is a small friendly restaurant with a really interesting menu. Brunch time treats include delights such as black pudding & chorizo hash brown, poached eggs, spinach & hollandaise – yum. 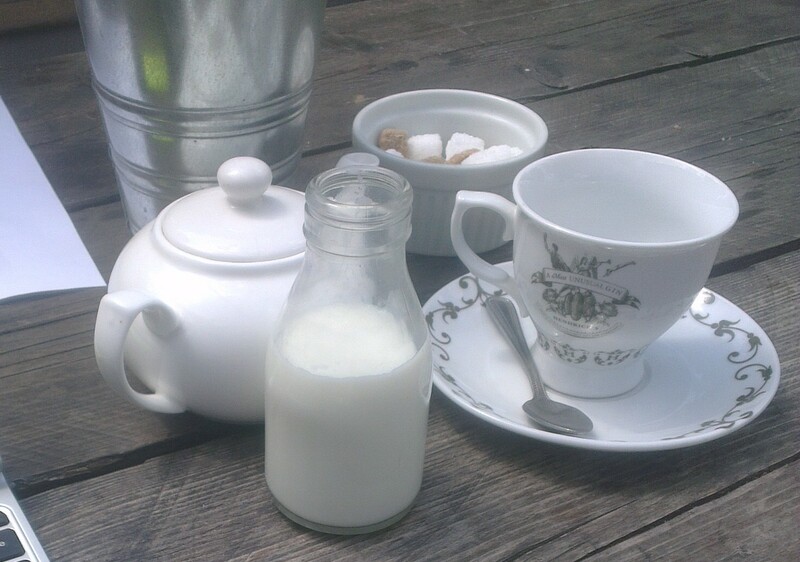 Zazu’s Kitchen is great too just for a cup of tea, complete with adorable mini milk bottles and gin teacups! The Primrose Cafe is a bit of a Clifton cult. Set tucked away from the main road at the entrance to a gorgeous Victorian shopping arcade it serves a fantastic range of really wholesome yet yummy food. The Primrose Cafe holds a bit of a special memory for me too as it’s where I first met my Inside Scoop business partner Rin and discovered a shared love of Nancy Drew and brunch. Award-winning authentic Indian food and eco-tiffins to die for. Well not literally obviously – that wouldn’t make for a great restaurant. At every festival I’ve ever been to the weekend has felt complete once I’ve spotted the sparkly Thali Cafe tent. 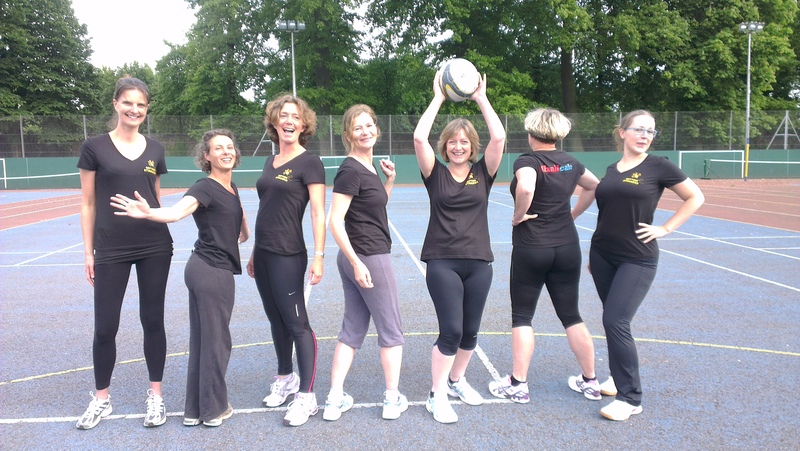 And I don’t just love them because they sponsored out netball kit. Honest. That was lovely though. If you like a burger and also like to go to the toilet and look at old comics on the walls then Atomic Burger is the place for you. They have more burger combinations than you can shake a gherkin at, including the Fallout Challenge – a triple burger stack, triple chilli fries, deep fried cheese and tomato pizza buns, all made with fallout ghost chilli hot sauce. There is a place on the Wall of Flame for you if you can manage it. Pieminister is a much-loved festival staple, but Bristol is actually the home of Pieminister and their Bristol Stokes Croft restaurant is just down the road from us. Fantastic wholesome food, friendly staff and of course the obligatory crayons for kids. Good value too – Belle and I ate their recently for under £15 and that included a glass of wine. It didn’t stretch to a pickled egg though. No, I haven’t tried that one. I think perhaps I need to make a list though of new places to go! I was at the Primrose Cafe yesterday, it was the perfect place to be in the sun. The Clifton Sausage would definitely be in my top five, I blogged about it recently if you fancy a read. I’ve not been there either Rachel – does it actually sell sausages or is that just the name? I think I’ve had a take-away from there before – it was yummy! Have you ever been to Poco? Nope, I’ve never been there Sally – where is it? Pingback: Our Favorite Places to Eat Around the U.S., Canada & U.K.! I wanted to get in touch regarding a project we’re running in Bristol at the end of this week that I thought might be of interest. My email is harriet.rodger@thisisphipps.com if you’d like to drop me a note for further information.